In response to comments from booksellers and readers, Upper Room Books has reissued A Pocket Guide to Prayer in a slightly larger trim size with a new, leatherlike cover. The content is exactly the same as the first edition, which had a brown, satiny, paperback cover. 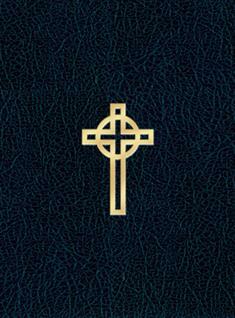 This lovely, classic, and compact book contains a wealth of information, such as helps for praying up to 5 times a day, over 100 prayers, hymn texts, and psalms. Harper also explains how to create a personal Rule of Life and how to read scripture meditatively (lectio divina). He includes a reading list to help you grow in your prayer life. Tuck this classic prayer book in your pocket or purse, and you have at your fingertips all you need to make a daily connection with God.